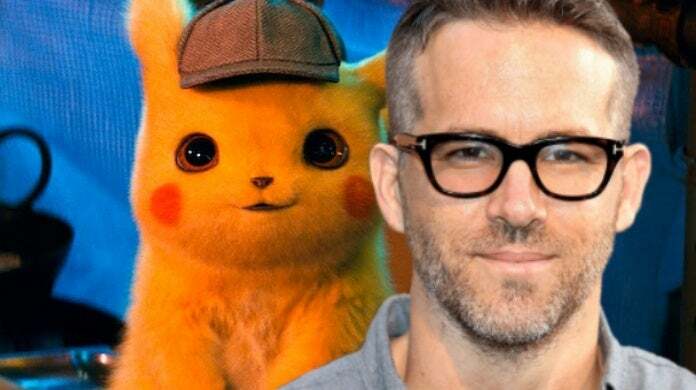 According to Detective Pikachu's visual effects producer Greg Baxter, the casting director for the upcoming Pokemon film immediately fell in love with Ryan Reynolds for the role of Pikachu, or as Baxter's put it, "something really magical happened when we put Ryan Reynolds' voice into Pikachu." "We knew what the character was gonna be—you know, what it looked like, the size, the shape, even some of the basic movements," said Baxter "But then as we were looking at different actors, we would put voice from what that actor had done in the past through Pikachu just to see how that was gonna play. And something really magical happened when we put Ryan Reynolds' voice into Pikachu." "It's just not at all what you'd expect and it's just funny, because ... the way he speaks and the way he acts is almost like one giant run-on sentence. He keeps talking until jokes just fly out. And for this little, cute, little thing to have that kind of crass and sarcastic sense of humor and then just kind of keep going ... that actually affects the animation." That said, while the movie's casting director instantly knew they had to have Reynolds, they did have multiple other actors audition for the role, including Danny DeVito. "Yeah, we threw some of his … Always Sunny in Philadelphia … in as well," said Baxter when asked if DeVito was one of the actors who audtioned. "I mean, we really tried a range of actors. Different pitches, different sounds of voice, different ... big, small, everywhere in between. And really, once you put a voice to an animated character, something just amazing happens, not what you expect. But once Ryan went in, it was kind of game over. That was amazing." As you will know, the reception to Reynolds as Pikachu was initially greeted with a mixed-bag of responses. However, over time, it seems like fans have started to see what the movie's casting directors saw, because there's very little complaining about the casting now. Detective Pikachu is scheduled to hit theaters on May 10. For more coverage on the highly-anticipated Pokemon movie, click here.